SPRINGFIELD – State Senator Bill Cunningham met with local students on Tuesday to have a conversation about technical education and professional development in Illinois. Students from Community High School District 218 in Oak Lawn came to Springfield for the Illinois Association of Career and Technical Education’s Showcase Day, on which students from around the state demonstrate their skills and respond to education and workforce issues in Illinois. 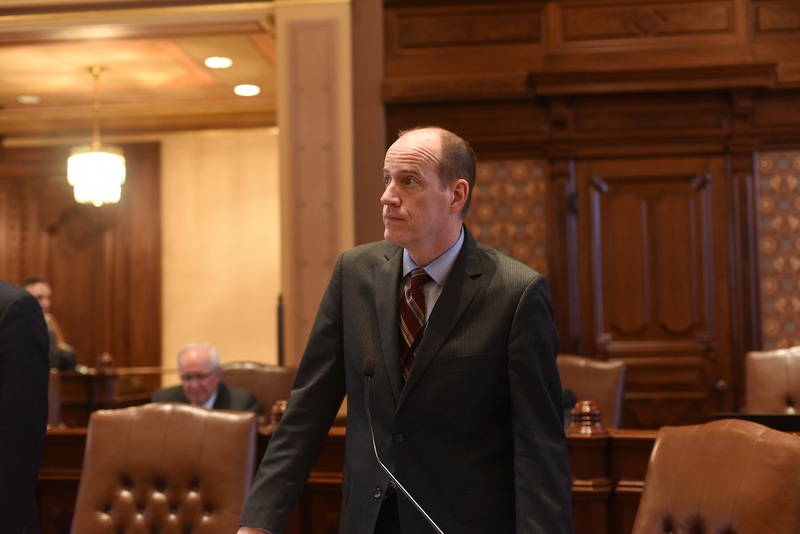 “It’s inspiring to see so many students taking an interest in technical education and being engaged in the related issues that come before the Illinois State Senate,” said Cunningham, a Democrat who represents portions of Chicago and the southwest suburbs. “Property owners can find themselves in crisis situations because they’re unaware their property taxes went unpaid,” said State Senator Bill Cunningham, a Democrat who represents portions of Chicago and the southwest suburbs. “Senior citizens are more likely to face this issue because their mortgages are more likely to be paid off, so a bank is no longer ensuring the taxes are being paid through an escrow account." In Senator Cunningham’s district alone, there are 1,530 property owners who are past due on their property taxes, according to records maintained by the Cook County Treasurer’s Office. Of those, 84 are senior citizens. The County Treasurer can be reached at 312-443-5100 or at cookcountytreasurer.com. To check your property's tax payment status enter your Property Index Number (PIN) or property address here here.